"The unexamined life is not worth living - Socrates" I am immensely grateful for the amazing support I have received thus far, and I want to take this opportunity to say a BIG THANK YOU, to everyone that has listened, shared or supported this project, You’re the real MVP! And also to the amazing Women both in the Tech Industry and the world over, I celebrate You, Your contributions to society and lives is immeasurable, You all Rock! Thank You for all you do. We are going on a discovery Hiatus, I want you to be part of this process, we intend pivoting and restructuring this podcast to better serve you. Your input and contribution is valued and I would love to hear from you. What is something you think needs to be improved on, what timing in release of episode or would you prefer; your feedback can be sent in as emails or private messages. Emails can be sent to thecreativeschronicles@gmail.com. Every of your reviews and feedback would mean the world to me! New and improved episodes would returns on the 5th of April 2019. Remember to go out and create Awesomeness, I am looking forward to hearing from you, send in your comments via email: thecreativeschronicles@gmail.com, remember to subscribe on iTunes, Spotify, Stitcher Radio, Google Podcasts, Breaker, Podbean and any other podcasting app you use, just search for The creativeschronicles on your podcasting app and subscribe, thank You! Episode 071 - Action Takers are Rewarded! Episode 070 - Don't reject YOURSELF! Episode 067 - Your reasons will keep You GOING! 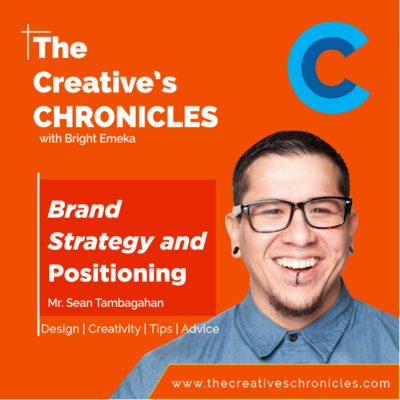 Episode 061 – Brand Strategy and Positioning! 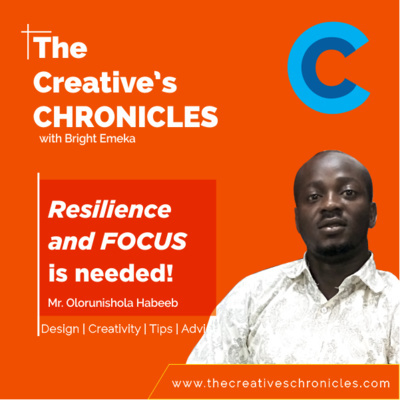 Episode 060 - Resilience and FOCUS is needed! 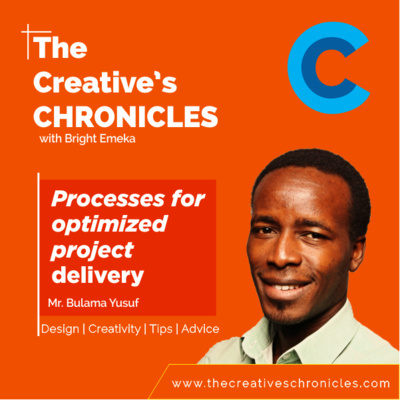 Episode 048 - To make Progress "Show-UP"
Today’s Guest is the Computer Vision Prodigy, a Data Scientist and a passionate Developer Abdulmaleek Mustapha Abdullahi, this young man is phenomenal, he has crazily awesome ideas, I was in awe of the kind of ideas he shared, this is one episode you have to listen to. “After learning, create fun projects, solve your own problems and then you can start earning…” There is no rush, you can always learn, remember you have to be patient… “AI is the new electricity” said Andrew Ng, co-founder of Coursera and an adjunct Stanford professor who founded the Google Brain Deep Learning Project “The modern AI is modeled after how the brain works, you show a computer this and it learns to create that…” “When I started programming I had no access to the internet, I don’t want the next generation to suffer like I suffered, I want access to information and learning resources to be free…” “The AI we have now is AI that works with humans and solve problems…” I trust you have picked some actionable nuggets from today’s episode, do execute and have fun. 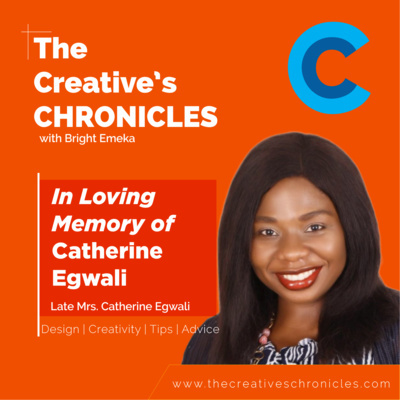 I am looking forward to hearing from you, send in your comments via email: thecreativeschronicles@gmail.com, remember to subscribe on iTunes: https://itunes.apple.com/us/podcast/thecreativeschronicles/id1304002365 and any other podcasting app you use, just search for thecreativeschronicles on your podcasting app and subscribe, thank You! Today’s Guest, Rejoice has the most beautiful smile I have ever seen and she is an amazing person, she is a graduate of management information systems, versatile in computer administration, networking and web-development. She is value driven and passionate about being an asset to her society, nation and world at large. Rejoice is a community developer and is an organizer and the team lead of the Python Abuja Meet-up. She shares with us her story and journey into the world of tech, challenges faced and how she overcame and so much more, today’s episode is filled with tons of actionable content, do listen. Learn in particular patterns, follow a path, don’t confuse yourself, keep learning, don’t ever stop; no matter how fast or slow you are going, just keep moving, you become the best you can be that way… To remain relevant, you must evolve and learn… I am looking forward to hearing from you, send in your comments via email: thecreativeschronicles@gmail.com, remember to subscribe on iTunes: https://itunes.apple.com/us/podcast/thecreativeschronicles/id1304002365 and any other podcasting app you use, just search for thecreativeschronicles on your podcasting app and subscribe, thank You! 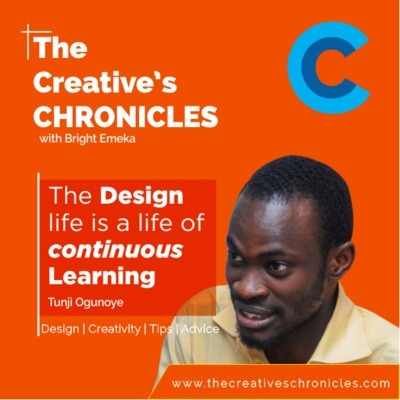 Today’s Guest, Bolanle Banwo is a brand Identity designer from Lagos, Nigeria. 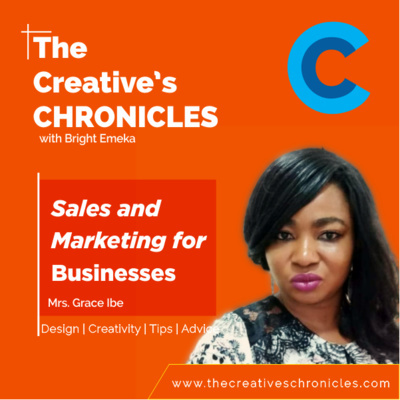 She helps brands tell compelling stories via creative designs. Much of her work is centered around helping small and medium businesses create smart impressions and build strong identities via good communication designs. 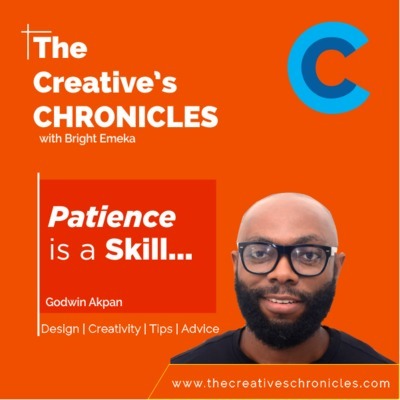 Bolanle is the Founder and Lead Creative at the Female Designer Movement, an initiative she launched with a mission to train and equip women with design skillset and thereby help increase the number of women in the Nigerian Technology ecosystem. 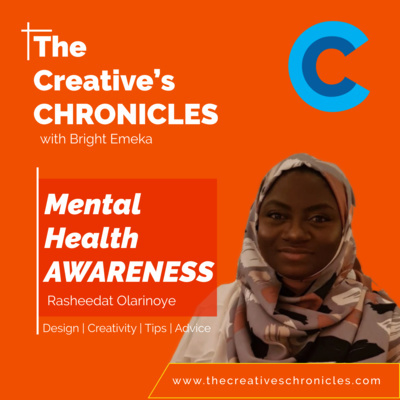 She may be found online on Instagram @bolanle.banwo, where she occasionally shares her work and projects. She talks about how the choices we make shape our world view and realities and loving what we do. “Creativity is the person and process not just the tools…” My Take Away from Today’s Episode Our experiences shape us for the journey ahead Most times we underestimate our abilities and capabilities Once we get a taste of what we can do and the value we bring, the possibilities are limitless To design you need to study other people’s design, know what works in them and improve on your own style Just keep on doing what you know best to do, stay committed and dedicated, it will pay off. Demystifying the Myths The myth that females cannot thrive in Tech or design is wrong, women and ladies are well able and capable to thrive in the Creative Industry. 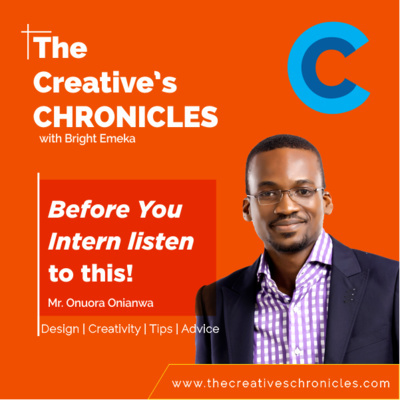 I am looking forward to hearing from you, send in your comments via email: thecreativeschronicles@gmail.com, remember to subscribe on iTunes: https://itunes.apple.com/us/podcast/thecreativeschronicles/id1304002365 and any other podcasting app you use, just search for thecreativeschronicles on your podcasting app and subscribe, thank You! This has been an amazing and enlightening episode, I trust that you have picked a ton of value from today’s episode, do have an Amazing Weekend, I will see you next Week. Ps: I sincerely apologize for the audio quality today, I am currently relocating and moving to a new apartment, so I am trying to get properly set-up. Working on delivery phenomenal value. You Rock! Today’s Guest Mary Alenoghena is a phenomenal mind, a passionate event planner, a Graduate of Electrical Electronics Engineering from the University of Benin, she is the founder Tech Queens Development Initiative and she has organized and co-organized several Django workshops in different cities in Nigeria, she is passionate about women empowerment and also getting more women involved in tech. She shares from her wealth of experience with organizing these events, the challenges and lessons she has picked. This is one episode you would want to listen to more than once. “When you start something good, the feedback motivates you to do more…” My Take Away’s From Today’s Episode: You build problem solving skills with experience you get from doing If you plan well and have a back up plan; with time you improve on the quality of projects you deliver The little things and little wins counts; it all adds up You can do anything you put your mind to… The fact that you are not coding does not mean you cannot be in tech You need to be intentional about anything you want to achieve in life or career Don’t be afraid of failure… Without failure and learning from your mistakes, you can’t succeed A tree doesn’t come up in a day, it takes time. “Making programming fun and something ladies and girls can do…”, “A whole lot of people would love to learn and acquire new skills, they might not just have equal opportunities...” Demystifying the Myths There is an unconscious barrier built by society, stereotypes and views about what kind of careers women and ladies can and can’t do… this is wrong, If we all do what we can, where we are, we can change stereotypes and change limiting beliefs I am looking forward to hearing from you, send in your comments via email: thecreativeschronicles@gmail.com, remember to subscribe on iTunes: https://itunes.apple.com/us/podcast/thecreativeschronicles/id1304002365 and any other podcasting app you use, just search for thecreativeschronicles on your podcasting app and subscribe, thank You! This has been an amazing and enlightening episode, I trust that you have picked a ton of value from today’s episode, do have an Amazing Weekend, I will see you next Week. 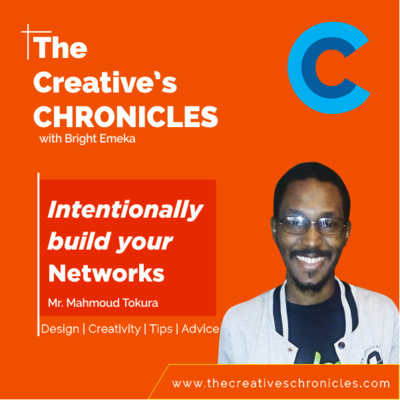 Today’s Guest is a tech enthusiast, a passionate community builder with Minna Tech Meetup, a Web Developer and he also an Online Security Research, plenty valuable and actionable content. 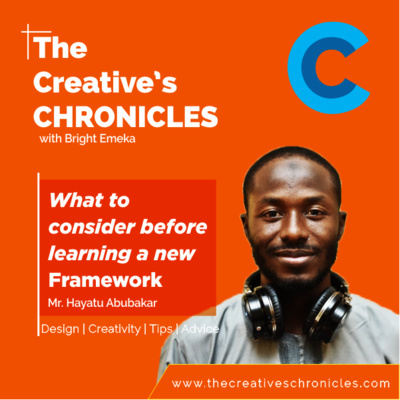 Picking programming for him was a way to tackle boredom and it became more than just an escape from boredom, it has become a passion and a way to contribute meaningfully to the tech community and offer value. He shares with us his story and experiences and offered valuable information about online security. 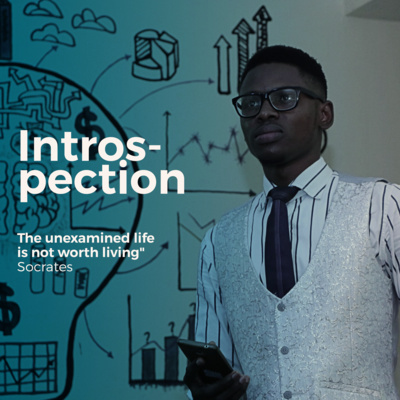 “Even if you read all the books and can’t express what you’ve learnt, you are still static…” My Take Away’s From Today’s Episode: Consciously asking questions plays a huge role in your journey into the world of tech. Keep regrets away from you, always know that you are still up for great things and new opportunities. Your experiences plays important roles in shaping who you become. Let your experiences rub off on people positively Seek advice from people trained to test your software for vulnerabilities Try as much as possible to ignore suspicious and spam messages, look out for spelling errors in URLs of websites you visit Try to protect your data, be cautious of the kind of data you put on the internet Prioritizing and writing things down, does a lot for you, no matter how busy a schedule you have Outsourcing also does a lot for you “It is better to be cautious than careless…”, The safest system is a system that is not on, as long as any communication gadget is on, it is vulnerable” Demystifying the Myths The myth that women cannot be programmers or there are some fields that ladies can’t thrive in, this is false, I urge every female tech enthusiast to go for it, women can be really dedicated to tasks and they can factor in a lot of things in whatever the do, you can be anything you want to be as long as you are committed and dedicated. 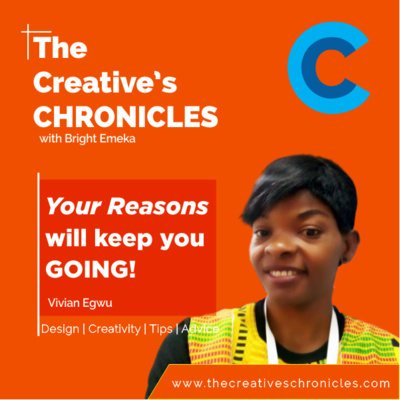 I am looking forward to hearing from you, send in your comments via email: thecreativeschronicles@gmail.com, remember to subscribe on iTunes and any other podcasting app you use, just search for thecreativeschronicles on your podcasting app and subscribe, thank You! This has been an amazing and enlightening episode, I trust that you have picked a ton of value from today’s episode, do have an Amazing Weekend, I will see you next Week. Today’s Guest is the phenomenal Umar Saidu Auna, He is the Program Manager for GDG Minna, an Android developer, a Java Fan and JSON Lover and a committed community developer. 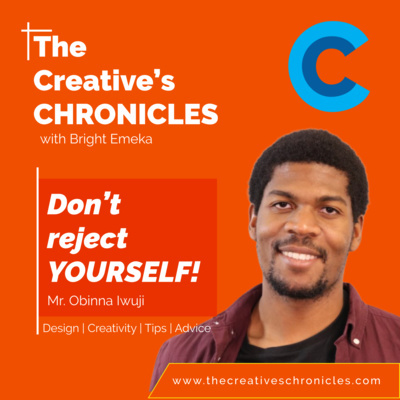 He dives deep into his story and how he got started in programming and community development “Stop asking yourself when will I ever get to that level, know that everything takes time… ” My Take Away’s From Today’s Episode: We all have that phobia of changing to a new technology, but don’t let it stop you. When stuck, it is okay to ask questions Having mentors and support structures will make your journey a lot easier The Experts and Professionals started from someone It takes time, so be patient with your own process “Looking at people who are already doing what we intend to do, gives us hope and confidence that we would also be able to achieve such feats ” Demystifying the Myths The myth; When comes to bugs; people think bugs are the problem; most times people have this imposter syndrome and this usually plays out more when there is a bug and its refusing to be fixed; you have to realize that having bugs in the code is part of the process; when we fix them we get better at fixing them. 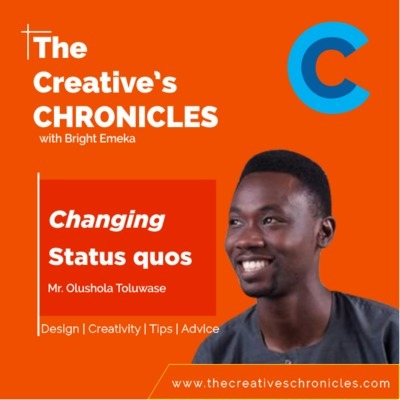 I am looking forward to hearing from you, send in your comments via email: thecreativeschronicles@gmail.com, remember to subscribe on iTunes: https://itunes.apple.com/us/podcast/thecreativeschronicles/id1304002365 and any other podcasting app you use, just search for thecreativeschronicles on your podcasting app and subscribe, thank You! This has been an amazing and enlightening episode, I trust that you have picked a ton of value from today’s episode, do have an Amazing Weekend, I will see you next Week. 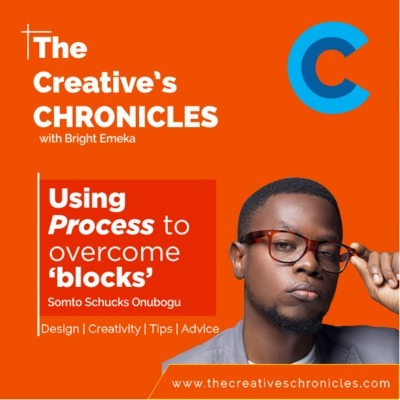 Hello, Good morning, good day, welcome to the Creatives’ Chronicles, this is the podcast that tells the stories of creative professionals, giving you the information and motivation to get started, stay focused and thrive as a Creative Professional. My name is Bright Emeka and I am your host. 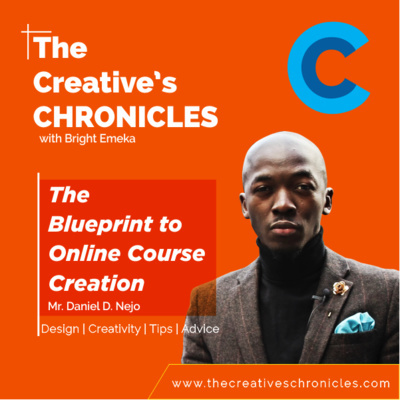 For this episode we will be talking about the State of the Creative Clan, yeah; this is our Road Map for 2018. 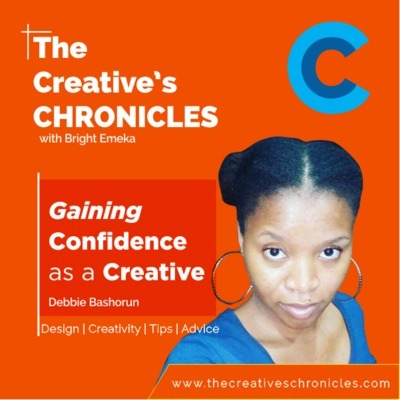 What to expect from us this year at the Creative’s Chronicles I am currently talks with – Finance Management Experts Thriving Entrepreneurs and business owners, who would be sharing their stories and telling us how to Start and Bootstrap an Agency Public Speaking Experts Writing Experts Legal Experts, that will be answering our legal questions, Client Attraction Experts Sales and Marketing Experts Business Coaches and a host of other experts. I am also in talks with Bosses in the Creative Industry and this year we are bringing our A Game I want you to do three things for me today, Join our Facebook Community, Like our Page, Join the new Creative Clan Facebook Group (More information on this next week (Link in the show notes) – https://www.facebook.com/groups/326067707907579/ Secondly, I want to send me an email or direct message on any platform you are comfortable with on areas you want us to cover this year and possibly suggest guest you want us to have on this show. 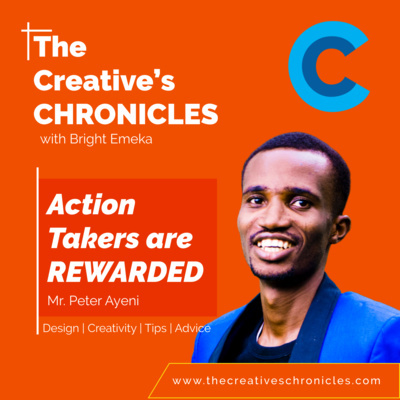 You want to be a guest on this show – visit https://goo.gl/forms/BwYnQYVITz9FzB0w2 and fill out the form We would return to our Guest and other Experts next week, My name is Bright Emeka, remember the only way to get better is to execute, execute on your dreams, goals, visions and project. Keep expanding your mind and stretching, you really don’t know how far you can go, till you start. I will see you next week. Today’s Guest Mr. Israel Obiagba is a Frontend Developer, a Trainer with RelearnNG, an Educator with CodeSparkNG and a Co-Organizer for UXAbuja (A Meetup for UI/UX Designers in Abuja). 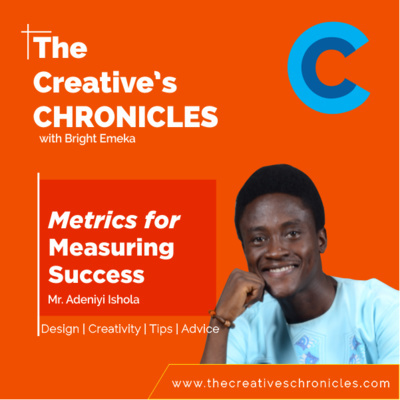 He is a proponent of having Structures and Processes, he also speaks about ways of tracking activities for measuring productivity and progress. When we take stock and track the things we do; we are then able to evaluate our progress and measure our productivity. My Take Away’s From Today’s Episode: It is the amount of focused time you put into your work that really determines your productivity. Creating systems that allow for regular checks and accountability The worst thing you can do is lie to yourself about your current status in career or in life Consistency is one of the sure ways to get a new habit engrained in your system Habits are formed by our routines, and we have the ability and can make up our minds to create routines that counters negative habits Understand yourself and find your base consistency point (the barest minimal effort you can put in regularly and consistently). 25mins a day for A month adds up cummulatively Have a strategy and a structure (Stracture) Strategy – What is Your plan, structure – gives your plan a sequence. You need to research and study Mentors and the Greats that have gone ahead Research and find out about various models of personal learning e.g. Dreyfus Model You need to learn from the best to be better than the best. 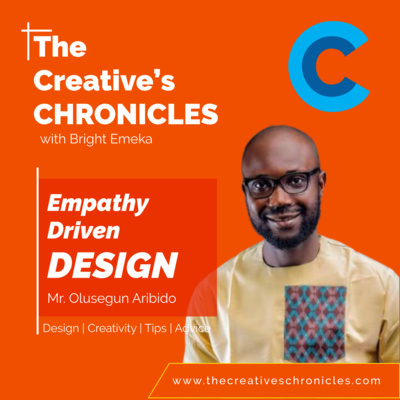 Today’s Guest is just Awemazing, coming from a background where reading was the norm, Mr. Victor A. Fatanmi is a Creative with a difference, He is a Writer, Designer and the CEO of Fourth Canvas, He shares his story with us and points out an important trait he embodies, the desire and drive for continuous growth and improvement. You are to work yourself on your path towards self-sustainability and growth… My Take Aways from today’s Episode: It doesn’t matter how your start is or looks; what counts is your consistency on a path of improvement and learning… Be unafraid to enter strange and new territories, that is where the growth is… Your problem is not lack of the ability to write, the real issue is lack of conceptual understanding… the understanding of the way things work (especially design) A lot of designers today are designers because they are masters of a particular Software…. Find any designer whose strength is in the ideation, whose strength is in what the design represents; who is concerned about the emotions the design will reflect; whose choices in the design process is about how best he represents the ideals of a particular brand, these are the designers that are usually able to convey their thoughts in writing. The words store over the years; from elementary school, to books read, to dictionaries read; it is not the words that make the poem, it is the thoughts… Work on your understanding and appreciation of design as being beyond software… Design is everything… Writing is just about finding the words to express these thoughts… It also helps your writing when you study and read other designers writings… Some of the traits we always look for in designers is humility, willing to grow and attitude Skills can be learnt The New Segment (Demystifying the Myths) Design is just about software skills (this is a myth). Software is just an advantage. Design is about the mind; this is not downplaying software skills; we need very good execution, alignment, balance etc. My Take Aways from today’s Episode: It doesn’t matter how your start is or looks; what counts is your consistency on a path of improvement and learning… Be unafraid to enter strange and new territories, that is where the growth is… Your problem is not lack of the ability to write, the real issue is lack of conceptual understanding… the understanding of the way things work (especially design) A lot of designers today are designers because they are masters of a particular Software…. Find any designer whose strength is in the ideation, whose strength is in what the design represents; who is concerned about the emotions the design will reflect; whose choices in the design process is about how best he represents the ideals of a particular brand, these are the designers that are usually able to convey their thoughts in writing. The words store over the years; from elementary school, to books read, to dictionaries read; it is not the words that make the poem, it is the thoughts… Work on your understanding and appreciation of design as being beyond software… Design is everything… Writing is just about finding the words to express these thoughts… It also helps your writing when you study and read other designers writings… Some of the traits we always look for in designers is humility, willing to grow and attitude Skills can be learnt The New Segment (Demystifying the Myths) Design is just about software skills (this is a myth). Software is just an advantage. 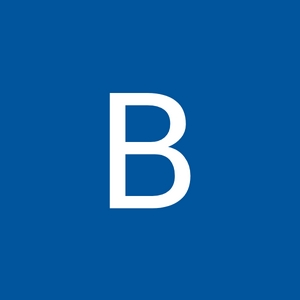 Design is about the mind; this is not downplaying software skills; we need very good execution, alignment, balance etc. In today’s episode I talk with Mr. Believe Stanley, He is a Brand Developer and Visionary TREND (The Real Entrepreneur Next Door). We discuss issues relating to onboarding new clients and strategies you could for client attraction, retaining and nurturing Clients. We had confession sessions too (eh eh), we talked about issues we are struggling with and ways we are working to deliver consistent value. 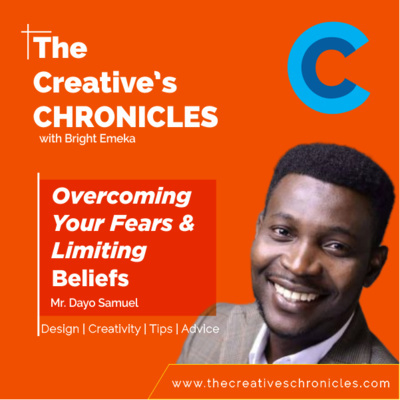 My Take Aways From This Episode CONSISTENCY and Continuous Growth; there are mindsets, limiting beliefs and practices that keep us on a stagnated, for things to change, our thought process needs to change. Being Honesty and straightforward with your client pays in the long run, it might hurt but in the end you are reliable and consistent. Always maintain a line of communication with Clients and everyone working on a project, the benefits are well worth it. You have know and understand who your client really is… this foster better relationships You have to offer value and when you clients can see and understands the benefits that accrues to his/her business from your service you get referrals and repeat business. For the programmer as a problem solver, an ability that is a necessity is iterative learning, the paradigm of Specialization cannot be overemphasized, it is a great thing to understand a few programming languages and concepts, but beyond the basics it is imperative to have a strong knowledge base in particular areas and fields, specialization or becoming an expert in a field will not only enhance your economic value but it also makes you an authority… Today on the show our guest, Mr. Musa Abugi, a Creative Professional, a Developer, Graduate of Chemistry from the University of Abuja, passionate trainer and programmer shares his views and experiences on specialization, motivation, listening to your inner voice and more… My Take Aways from today’s Episode: Commitment shows up in what you do consistently Everything boils down to motivation and positivity… Surround yourself with positivity, positive persons and positive energy… Don’t beat yourself up when some concepts and ideologies seem above your head and or you have a hard time understand these concepts, give it time, with time and experience comes a whole new perspective. Getting a mentor early in your career path saves you a lot of time and helps you avoid some pitfalls… Learn one thing at a time. “Where your focus goes, energy flows” – Tony Robbins.